This the main line from the chorus of the song ‘Secrets’ by Mary Lambert. Disclaimer: I am not advocating for this to become your anthem. It is a secular song, where some of the lyrics are well… you know. All that to say, I think that it is catchy and has a valid point that is often counter cultural for believers. We are taught that we need to keep our messy stuff secret. 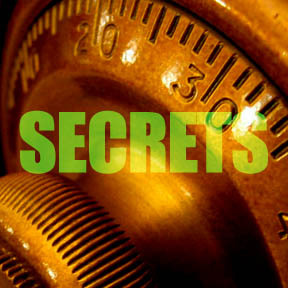 When we do whatever we can to keep our stuff hidden, our secrets can tangle us up and make a big mess. That is how sin traps us. If no one knows, then it is much easier to keep it going. The longer we live in our sin, the more it becomes part of our character and our decision making process. In this song, Mary Lambert says that she doesn’t care if people know what her secrets are. She goes on to list what her secrets are. Some are big like bipolar disorder, and some are smaller like her being afraid of the dark. I wonder how our world would be different if we didn’t care so much about people knowing our secrets. Who do you trust with sharing a secret that has held you captive? There is relief in sharing our garbage. We all have it, no matter how good we are at hiding it. Our God is in the freedom business. He longs to set us free. And for real, He knows about all if it anyway; so who do we think we are fooling when we take pride in our vault of secrets and deception? That’s a smoke screen that Satan loves to fool you with. Share with a friend, and find freedom today.